By Hettie O’Brian – OpenDemocracy: One of the most remarkable aspects of Joseph Bazalgette’s London sewage system was its pump house. The elaborate ironwork at Crossness pumping station transformed a home for raw sewage into a monument to public utilities. As one construction worker in BBC Two’s new series The Five Billion Pound Super Sewer put it, the pump house is so splendid, “it could be a hotel”. Bazalgette’s tunnels were built in 1865 to accommodate the waste of 2 million people. Since then, London’s population has ballooned to 9 million, putting pressure on its creaking sewers. The BBC’s Five Billion Pound Super Sewer series focuses on the present-day solution to London’s sewage problems: a new “super sewer” that will stretch 15 miles and collect excess waste from the Victorian network before transporting it towards the East End. But the series washes over the super sewer’s murky finance structure. Thames Water, the private company responsible for London’s sewers, claims it was too burdened by debt to pay for the sewer project. Instead, the new pipeline will be financed through price increases on water bills charged to London residents, which are set to rise £20 to £25 per year by the mid 2020s. According to the Consumer Council for Water, among household outgoings citizens are most likely to be in arrears with their water bills. Meanwhile, Thames Water will continue to pay millions of pounds in bonuses and dividends to its directors and shareholders (its CEO Steve Robinson is set to receive a £3.75 million bonus in 2020). Together with the UK government, Thames Water has created a separate company, Bazalgette Tunnel Ltd, which borrowed £1.2 billion from a package of investors and £700m from the European Investment Bank. The government has promised to step in and shoulder the risk lest the project encounter financial difficulties – which looks likely, given the complications inherent to drilling a subterranean pipeline. Thames Water has a dodgy history of syphoning profits while dumping toxic sewage. 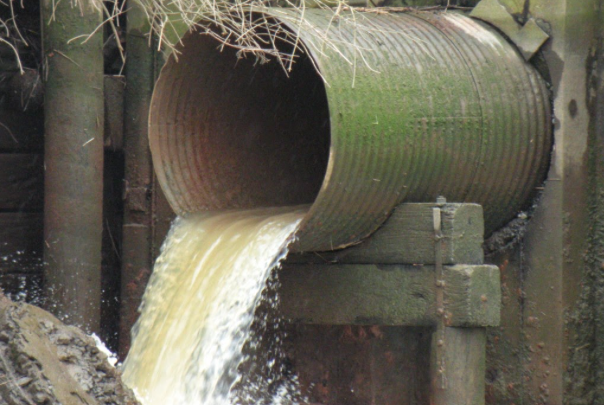 Every year, 39 million tons of raw sewage makes its way into London’s river. After UK water regulator Ofwat hit the company with a record £20 million fine in 2017, Thames Water promised to change direction. It elected a new CEO and said it would stop dumping untreated waste. But such retroactive regulations are a sticking plaster. England’s water industry was sold off in 1989. During the first decade of privatisation, household water bills soared by 147%. Thames Water is the perfect example of why privatising natural monopolies is a terrible idea. Arguments in favour of commercialisation go something like this: in order to be successful in a competitive marketplace, a company has to acquire the best possible knowledge of market conditions. Incorrect knowledge will lead to mistakes that will eventually bankrupt unsuccessful firms. Unlike the government, which does not exist in a state of market competition, successful companies will possess the best knowledge of market conditions and consumer preferences, and will, therefore, be better placed to act competently and efficiently when delivering services. Market competition will ensure both citizens and governments get a better deal. Yet this Darwinian picture doesn’t apply to essential resources like water. First, as the case of Thames Water shows, market competition doesn’t function when you’re dealing with a resource that has to be managed at scale and is necessary to all humans. Thames Water is a monopoly with no competitors. Without competition, there is no incentive to provide a better service to customers. This is why Thames Water has idled into complacency, extracting profits and dumping waste without investing in the infrastructure that London’s sewers require. Competitive markets normally offer consumers an array of options that differ in quality and price. But there’s no such choice with water bills. Either you pay up, or your water supply is turned off. The truth is, citizens aren’t really consumers. The consumer is the government that has outsourced water supply, while the citizen is little more than a voiceless service user without any of the choice benefits typically associated with a market system. Second, a company cannot have perfect knowledge of a market beyond the immediate future, particularly in a world where environmental conditions are rapidly changing and deteriorating. There’s a difference between knowing how an industry works at present, and knowing how decisions will affect that industry in the future. Thames Water’s decision to pollute the ecosystem with untreated sewage is a case in point: the present-day impetus of generating shareholder value eclipses the long-term degenerative effects of pollution. Instead of leaving crucial decisions about environmental stewardship to for-profit companies, water should be managed with greater public involvement and participation, giving people a say in how this common resource is safeguarded for the future. Paris is one example of how this works in practice. After years of price increases under a water system controlled by global giants Suez and Veolia, mayor Bertrand Delanoë put water remunicipalisation on the ballot paper. In 2008, the city transferred water services from Suez and Veolia to the publicly owned Eau de Paris. Since then, Paris’ water prices have fallen below the national average, saving approximately €76 million in water bills from 2011-2015. Instead of paying dividends to shareholders, Eau de Paris reinvests profits into the system. It has increased free access to water and sanitation in addition to maintaining water supplies for those living in squatted accommodation. The UK Government, in line with the United Nations, recognises water as a human right. But it doesn’t stipulate how water should be managed. Instead, the government says, “the [UN] right does not prescribe any particular model or role for public and private sectors”. This cynical sleight of hand cedes power to the private sector. As water activist Meera Karunananthan notes, sanitation companies have lobbied hard since the UN recognised the right to water, positioning themselves as best placed to deliver this right by claiming that governments don’t have the funding or expertise to do so. Thames Water exposes the holes in these arguments. It has syphoned rents to shareholders without investing in infrastructure or showing any regard for its environmental impact. It has brought virtually no competitive benefits to government or water users. Instead of prolonging Thames Water’s extractive reign, it’s time to look for alternatives.